The pool area at Splash Universe water park in Dundee was evacuated Saturday after guests complained about skin irritation that felt like burning, according to a Monroe County Dispatch worker. The burns were not significant, dispatch added. However, the pool was evacuated for precautionary measures. 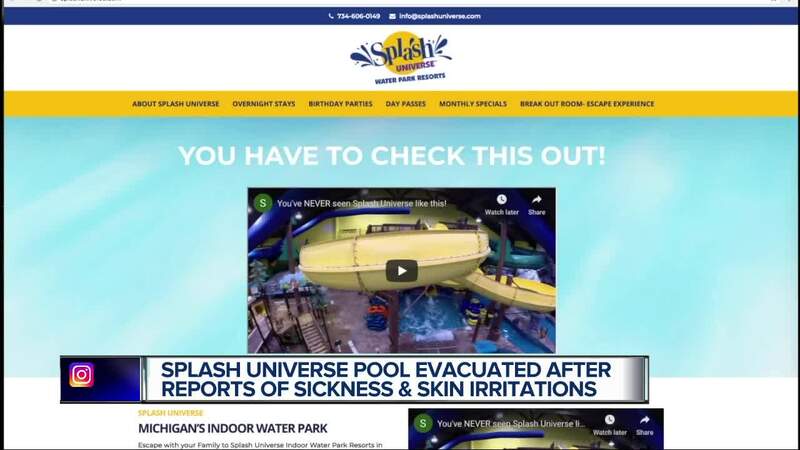 DUNDEE, Mich. (WXYZ) — The pool area at Splash Universe water park in Dundee was evacuated Saturday after guests complained about skin irritation that felt like burning, according to a Monroe County Dispatch worker. The burns were not significant, dispatch added. However, the pool was evacuated for precautionary measures. A park guest told Action News that his family suddenly developed rashes and his son began vomiting while at the water park. “If you have a massive group of people vomiting everywhere obviously something is not right,” said Jacob Mason. 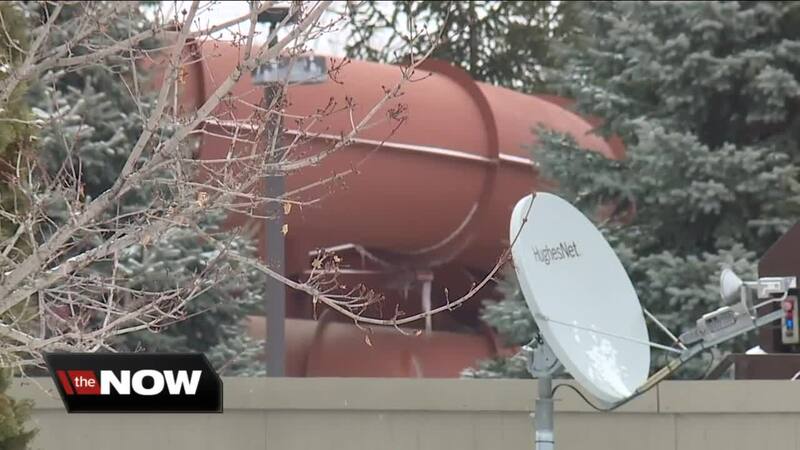 Another woman at the water park recorded video of an employee explaining that an air filtration system broke, dispersing chlorine in the pool area. Jason Mason, who was at Splash Universe with his family Saturday night, said his son fell ill.
"(My wife) took (my son) into the bathroom where she knows other people are vomiting. I went into the other bathroom and people were puking in there and then I seen other people throwing up in the general area as well." Rob Evans, regional manager for Splash Universe, released a statement on the incident saying chlorine levels in the pool were normal, and that when a complaint was made "all proper procedures" were followed by employees to address the concern. "Last night just before closing of the pool area Splash Universe received a compliant. Splash Universe employee's followed all the proper procedures and steps in an excellent manor," Evans said in statement. "They tested their chlorine levels and they all came back normal. The safety of guest and employees are their number one priority, Splash Universe was open and fully operational today with great customer satisfaction." Dundee Fire Department declined to offer additional information on the incident. No further information was immediately available.